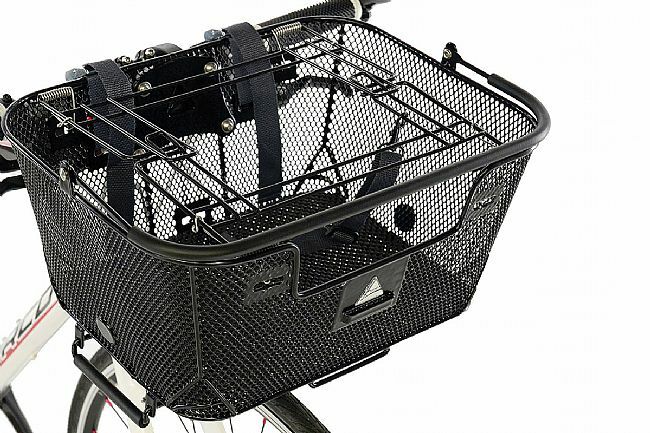 Take your best friend for a ride in Axiom's Pet Basket that includes a spring-loaded top-cage to help keep your small pet from chasing squirrels mid-ride. Quick-release handlebar and rear-rack mounts mean hassle-free installation and removal, and a padded carry handle lets you bring it with you once you're at your destination. 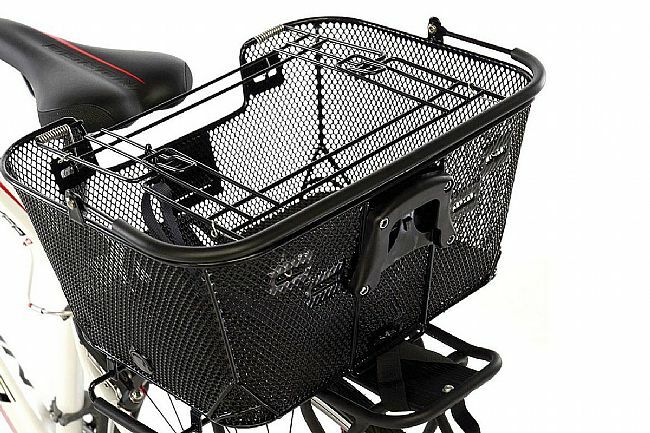 The bottom features an antimicrobial padded floor liner that's comfortable on the paws while creating a stable platform when atop a rack, and secondary handlebar safety straps provide additional security up front. Made from reinforced, vinyl-dipped steel. Includes adjustable tether leash. Load capacity is 15 lbs when mounted on handlebars and 55 lbs when loaded on a rear rack. Measures 40.5 cm x 30 cm x 18 cm. Claimed weight is 4.12 lbs. Easy to mount and it attaches with a ring lock around the headset so it will not drop down. I feel secure carrying my little dog on my rides around town.